PaperScan Scanner is a powerful TWAIN & WIA scanning application centered on one idea: making document acquisition an unparalleled easy task for anyone, But it also provides advanced features like OCR, annotations or color detection. Use PaperScan to import any image/PDF files, arrange them in any imaginable single-page/multi-page configuration, perform a wide range of image adjustments/enhancements, annotate them with sticky notes, rubber stamps, highlighter or arrows and save your work in various file formats including JPEG, TIFF, PDF and JBIG2. Moreover, PaperScan Scanner Software offers a comprehensive scanning application featuring advanced post-processing capabilities. Its intuitive interface, together with the variate set of image editing tools, makes it a viable and easy to use solution for document acquisition. PaperScan is offered under 3 different Editions: Professional, Home and Free. The Comparison Matrix might help you chose at a glance. 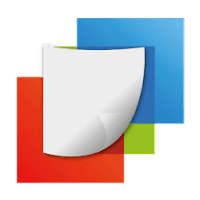 PaperScan Free Edition can scan and import ten pages, save as single page PDF/A, TIFF, JPEG, PNG, JBIG2, PDF Encryption support, and flatbed and document feeder support. The Home Edition is a light-weight version of PaperScan allowing users with everyday scanning and processing needs to accomplish their tasks via a really affordable application. The Professional Edition is the most complete Edition providing professional end-users with all features needed in document (image and PDF) acquisition, processing and efficient storage domains. * More Features are available with Home & Professional Editions. Disclaimer: Direct downloads for the lastest version of PaperScan 3.0.49 are provided by the official software's author, we can't guarantee safety, availability or download speed. Moreover, we don't and we won't provide any pirated/illegal versions or tools. We recommend you to avoid it as these methods can harm your device. If you like the software, buy it to support the developers. (We provide software discounts for many worldwide brands).